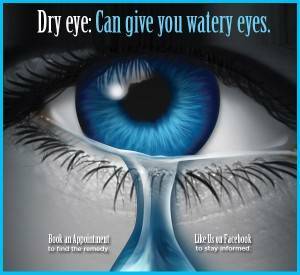 There are many treatment options for dry eyes which are highly dependent upon the cause and severity of the condition. Many mild forms of DED can be alleviated using artificial tears or lubricant eye drops to make up for the lack of natural tears usually produced by your eyes. If over-the-counter drops don’t alleviate your symptoms, your doctor might prescribe prescription drops that actually stimulate tear production or steroids for short-term relief.